Watch Preview Video on YouTube. These Santas make the perfect, elegant gift, and it's One of a Kind, created by YOU! How to create a Beautiful Beard and Moustache and much more! Over an hour and a half of quality, sculpting instruction from a professional. These are so easy to make and give as Christmas gifts! And you will have such fun in the process! (Not to mention increase your sculpting skills!) 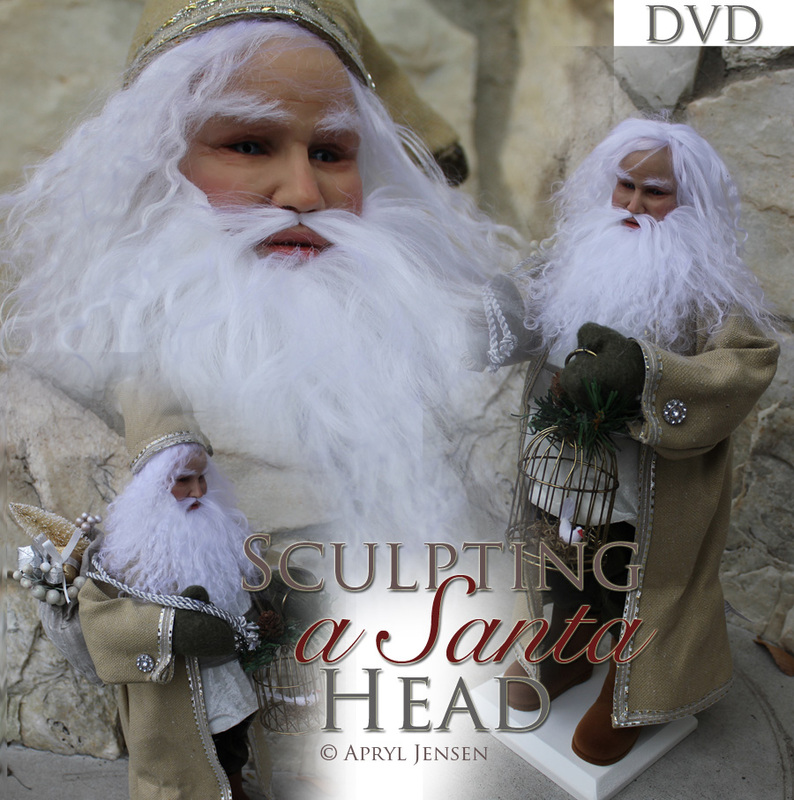 I take a department store Santa and sculpt him a new head. He goes from "blah" to "WOW!" Instructions for making your own body armature are included as well.